I am about to jump on a plane for #ArivalEvent in Las Vegas next week where I will meet up with many friends, colleagues, partners, competitors and DestinationCTO readers from across the industry. I will be soft launching a new tech platform there as well as writing up analysis of the presentations for DestinationCTO & Arival.Travel (Arival’s official in house news & resources website) – follow DestinationCTO on Twitter for live coverage. However before I launch the new platform I really need to update everyone on what has happened to Uptaste. The consumer problem definitely exists. Tourist consumers need good advice on where to eat that goes beyond restaurant discovery. By adding non-commercial content (e.g. street food, shops, bakeries, events etc) we got close to solving the consumer problem. Other solutions in the marketplace remain terrible at recommendations – Google Maps has quite a nice “search restaurants within 400 metres that are good” – but the focus is still on what is POSSIBLE rather than what is MEMORABLE. A tourist’s definition of memorable is quite different to everyday restaurant discovery. We built a iOS app, an Android app and a content backoffice / booking system – 3 apps – all in Ionic / Angular. Only took 4-6 months development work. When I hear people say – oh we only have 10 developers isn’t it amazing what we can achieve – er – you can do it with much fewer – really! Part of the enjoyment of the tours & activities sector remains that you can build a solution with 2-3 people, experiment, learn, and move on if it doesn’t work…. in hotels / flights you need many more people just to get to a basic position…… tours & activities remains an interesting sector for innovation…. We did a lot of work on how to recommend the right experience to the right consumer – much of this work was groundbreaking and not yet seen anywhere else. Not going to talk about it too much (!) as incorporated all this into the new platform I am working on now. In summary though you need to take into account whether someone is local or a tourist, what the weather is, what they have previously done on that trip, who they are travelling with, where they are standing, where they could move to with a little effort (you may walk further for a meal than you would an ice-cream, tonight is not the same as now) etc etc….. this is a really fun, challenging, problem area. I thought suppliers would love new distribution opportunities – turns out they don’t really care. If you email 10 suppliers asking if you can resell them you are lucky to receive emails back from 2. When I investigated it turns out they are so over-pitched by startups (and if you are a restaurant – by taxi drivers). Every pitch now goes to the ignore pile. Contracting suppliers needs a very different approach and probably needs to be done via leveraged relationships or face to face rather than remote sales teams….. Unless you want to raise a tonne of VC cash (to spend on loss making B2C advertising) you need to grow traffic through partnerships. The best partners for food experience discovery services appear to be hotels. However chain hotel tech is nearly all about the booking – which is weeks before travel – when we need to be pitched to consumers when they arrive at checkin. If you talk to a hotel about how they could partner with an app (that has no online presence) it is technically difficult. Solution appears to be to create the tech thats needed on the hotel side…. 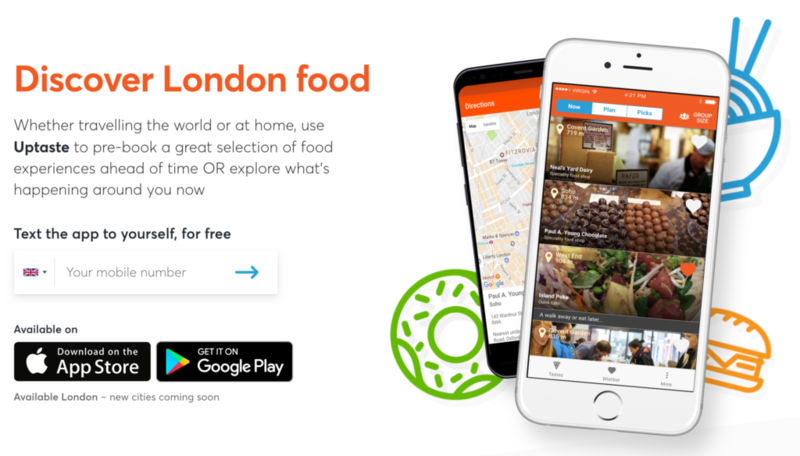 Global vs local rollout – we had a great set of content for London that was very high quality due to being heavily curated. However if you want to do a deal with any distributor of any size they need global rollout first, even if rolling out globally means a significantly lower quality level. Hummmm. For years I have worked on the supplier tech side of the industry including when I was in the airline, hotel and mainstream tour industries before tours & activities. Having been first to execute a software as a service (SaaS) platform alongside Rezgo in 2007 and first to online travel agent distribution (for most of the large OTA brands) – 2013>2015) I thought I had a good grasp of how the overall industry works. I didn’t 😉 However I now understand the travel agent perspective much more deeply than before…… probably the only person in the sector who deeply understands both sides. This knowledge has value. I now know what I know and more importantly what I don’t know. As a result hunting for that elusive senior commercial type person! Tech innovation used to be sufficient to do well in this sector but now its about business model innovation & biz dev execution as well. B2C digital marketing costs are exorbitantly high vs the commission (e.g. ~40 clicks at 1 USD a click to earn 10-15% commission on a 150 USD booking). Any service that scales needs to have a good flow of consumer traffic they haven’t paid for. Expedia gets free traffic from hotels / flights, Viator from TripAdvisor. They are both strong as a result. Standalone online travel agents are at a disadvantage (which is probably why we are seeing exits from companies like Musement to TUI). I can compete on an equal playing field but knowing you are at an inbuilt disadvantage was not long-term attractive. There is a massive industry upheaval coming in the next 2-7 years. Every sightseeing business that runs vehicles will need to transition to autonomous vehicle sightseeing. The challenge of sorting this out on a cross-industry basis is too interesting to leave alone. I am a sucker for a meaty cross-industry problem that needs massive technology innovation. Thank you for sharing your valuable insights. I’d just like to add something on the supplier issue you mentioned for those who have been struggling with the same issue: I’ve seen a significantly higher conversation rate when I approached to suppliers with a specific inquiry first and afterwards invited them to join our platform.